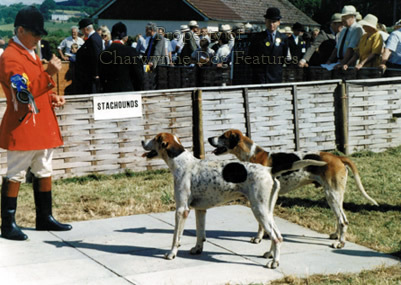 I have seen some quite magnificent scenthounds on parade in show rings, from Honiton to Hungary; I have also seen, both in Kennel Club conformation shows around Europe and in shows for hounds from the packs in England, some disappointingly mediocre ones. At Crufts you expect to see ‘the Best of the Very Best’, as the KC promises. But I do see Beagles there with too much flesh, far heavier bone than in say a working pack like the Dummer and with front feet that toe-in. The Basset Hounds there are to m e woeful exaggerations of hounds originally bred for the hunting field. 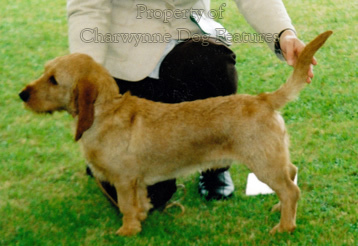 The Bassets Fauve de Bretagne, however, usually impress. The Otterhounds seem to be heading away from the waterproof coats of their ancestors and the Bloodhounds are too loose-lipped, over-dewlapped and too throaty. I have seen a couple of sound Foxhounds, but their breeding was closer to the packs. 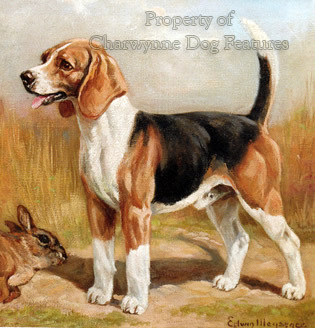 I like the look of the Bavarian Mountain Hounds and the Vendeen Bassets. 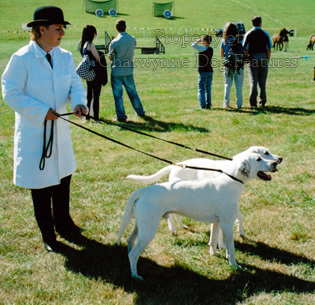 The Hamiltonstovare and Grand Bleu de Gascogne Hounds are handsome breeds but how good it would be to see a parade of Harriers, Fell Hounds, Trail-hounds, Welsh Hounds and Staghounds from the packs. But the total separation of the three sports, showing, trailing and hunting, does not benefit hounds. A Hound Show with its fascinating array of hounds: Beagles, Harriers, Foxhounds, Staghounds and Minkhounds, is always rewarding to visit. But, firstly, I have attended one where only the Minkhound judge examined the mouths of exhibits; does dentition, 'bite' and jaw construction not matter in animals designed to hunt? Secondly, the hounds are never touched by the judges, to assess muscle tone, bone and the construction of key joints. Thirdly, the hounds appear only be enlivened in the ring by being urged to chase the repeated scattering of hound meal. To me this totally insults canine athletes bred to near-perfection and shown in superb condition. Here are fine hounds from famous packs being treated like village curs. Writing on this in Hounds magazine in December, 1994, ‘Mariner’ contributed to a debate on Beagle judging at a Hound Show by giving the view: “This summer, as I walked out my own hounds…I pondered more and more on…how we judge our beagle hounds…In the show ring, we ‘stand’ our hounds – and ‘move them’. This entails getting them, by judicious dispensing of biscuit, to gallop continually from one end of the ring to the other. This is an important ‘exercise’, because it helps to judge ‘stride’ and ‘balance’. But at the gallop it is very difficult to see how straight a hound moves…In the horse world or at championship dog shows, no judge would want to put up any entry that he had not seen fully at the slow paces as well as the fast…Finally, why do hound judges never look at a hound’s mouth?” I share his concerns; it is not just knowledge that judges must possess but a technique to ensure their knowledge is fully applied. If you look at the Breed Standards of the scent-hound breeds recognized by the KC you find considerable variation between them. 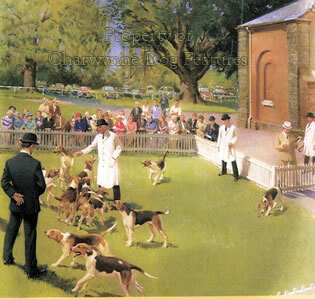 A Beagle’s feet must not be hare-footed; the Otterhound’s and the Foxhound’s feet have to be round; the Grand Bleu de Gascogne’s feet have to be long and oval; the Norwegian Elkhound’s feet have to be slightly oval; the Finnish Spitz’s feet need to be round; the Basset Bleu de Gascogne’s feet should be oval. No wonder the breeders of these breeds and those who judge them in the ring get confused by mutually-conflicting instructions. It is only when the scapula and the humerus are of the right length and correctly placed that a dog can achieve the desired length of stride and freedom in his front action. A dog of quality must have sloping shoulders and compatible upper arms to produce a good length of neck, a firm top-line without dips, the right length of back and free movement on the forehand. The upper arm determines, with its length, the placement of the elbow on the chest wall. Many dogs that are loose at elbow are tight at the shoulder joint and the forelegs tend to be thrown sideways in a circular movement. If the dog is tight at elbow the whole leg inclines outwards, causing the dog to 'paddle'. 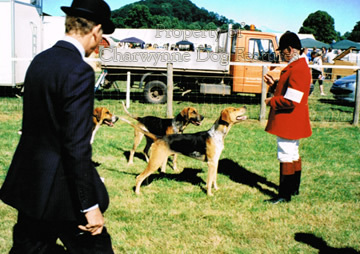 I have seen this in Beagles, Bloodhounds and even Ridgebacks at conformation shows – and one or two have actually won their class! Had their judges ever seen a hunt?